Leatherette car visor CD holder with 3 pen holders and cellphone holder. 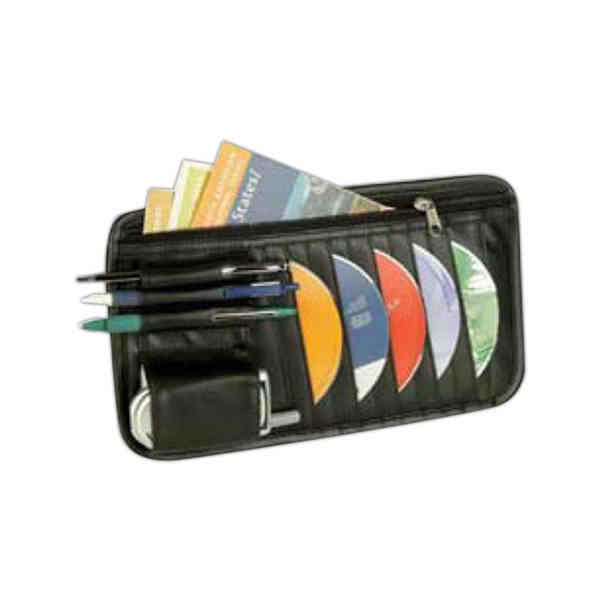 Leatherette car visor CD holder which contains large zippered pocket, 3 pen holders, and cellphone holder. Size: 6 5/8" x 11 3/4"
Keyword Search: Enter Online Store and type Keyword: "CD Accessories"
We can expedite your order, and We Ship Worldwide! "Be the first to hear about new promotional products!" Promotional Ad Products is a Trademark of Cape Adventure Promotional Products. © Cape Adventure Promotional Products. All Rights Reserved.